Do you want to see guest families return? The biggest factor in guests returning is how you treat them on their first visit. And a great first experience doesn't happen by chance, it is the result of a carefully thought out and planned strategy. There is no one better at this than Disney. They have trained their team thoroughly in how to care for families. Here's an example. What would cause team members to go above and beyond the call of duty to care for a family like this? They did it because it's part of the "go the second mile for families" culture Disney has created. If you want that same kind of culture in your ministry, here's seven steps to creating it. Step One - Get the right volunteers on your welcome team. If you want a friendly experience for guest families, then get friendly volunteers on your welcome team. Your greeters shouldn't be volunteers whom you don't have any another place to put, they should be your best, sharpest, friendliest people. You can train for skill, but you can't train for attitude. Fill your welcome team with people who are naturally nice. You can have an awesome worship team, a dynamic communicator, the best fresh coffee and an amazing children's ministry, but if a guest family is treated abruptly by a grumpy, baptized-in-pickle-juice greeter, they won't return. Step Two - Care for your volunteers. If you want your volunteers to care for guest families, then care for your volunteers. If you want guest families to be treated well, then treat the volunteers who will interact with them well. Happy volunteers take better care of guest families. How your volunteers care for guest families is a reflection of how you are caring for your volunteers. Caring for volunteers includes providing them with proper training, knowing them as individuals and taking a personal interest in them, honoring them, encouraging them and regularly expressing your appreciation for who they are and what they do. Volunteers who are cared for are much more engaged. Step Three - Give volunteers a purpose. Rules and guidelines are important for volunteers to know and follow, but that won't motivate them to care. A common purpose is what will compel them to give their best to make new families feel welcome. The purpose should be simple, easy to remember and constantly reinforced and pointed to. Here's an example of a purpose for a welcome team. Create a welcoming environment so people's hearts are opened to receive God's love." Over a period of time, a common purpose will create a culture where volunteers naturally care for guests. Step Four - Define the win. It's important for your volunteers to know what success looks like. You can't hit the mark if you don't know what the mark is. Just like the purpose, the wins should be simple and easy to remember. I recommend three or less. Here's an example of wins for a welcome team. Guests are greeted with a smile. Check-in is easy and quick. Guests are walked to their room. Recognize and celebrate when volunteers win. Share stories of the wins. What you celebrate becomes important. Step Five - Listen to your volunteers. Your welcome team volunteers are the front line of your guest experience. They are your best source for feedback, input and ideas for improvement. Have channels in place that help you proactively listen to them. Take action on their input and ideas and report back to them. When volunteers know they will be heard and have the opportunity to help make the ministry better, they will buy in. Step Six - Lead by example. Caring for guest families is caught more than it is taught. If you want your volunteers to smile at guests, then you have to smile at guests. If you want your volunteers to keep the check-in areas clean and tidy, then you have to keep the storage for the supplies clean and tidy. If you want them to walk guests to their rooms instead of just pointing, then you have to walk guests to their room. Disney is known for the cleanliness of its parks. This is because every employee, from the president to the parking lot attendant, picks up paper when they see it. One leader in the company was asked why he picked up paper and here was his response. I can’t afford not to. Leaders’ actions are visible to all. Every leader is telling a story about what they value. Even the best guest experience plan is of no use unless leaders put their commitment into practice by being role models for the behaviors they want volunteers to adopt. Step Seven - Empower the team. Why did the Disney employees we talked about earlier feel the freedom to restore the little girl's doll? That was an investment of their time, resources and talent. The decision to do this was made in real-time. The team made the decision based on their purpose, guidelines and clarified wins. Armed with this, they knew they were empowered to go the second-mile. When you equip and then empower your volunteers, they are able to make decisions in a way that expresses your ministries' vision and values. 1. Do we have the right people on our welcome team? Are they friendly and naturally nice? Do we need to move some people to a different role? 2. Are we caring for our volunteers? What can we do to provide better care? 3. Do we have a clear purpose for our welcome team? Do they know what it is? Do we keep it at the forefront? 4. Do our volunteers know what the wins are? Do we celebrate the wins? Are we telling the stories of the wins? 5. Do we listen to our volunteers? Do we have channels set up that allow them to provide input, feedback and ideas? 6. 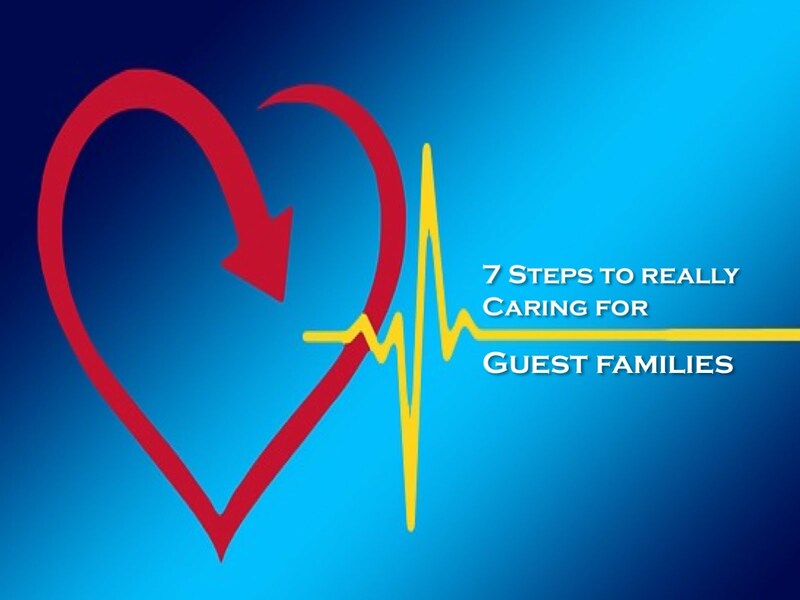 Are we leading by example when it comes to caring for guest families? How can we improve in this area? 7. Do our volunteers feel empowered to make decisions within the framework of our purpose and guidelines? How can we do a better job at this? p.s. We devote an entire chapter to "Customer Service Like Disney" in the new book If Disney Ran Your Children's Ministry. You can get it at www.kidminmouse.com.